Spring is finally here and what better way to embrace it than Easter Weekend in New Smyrn Beach! So many families head to the beach for the Easter Holiday and it’s also our favorite place to be! The weather is warming up and so is the water. It’s a great time to take the boat to Disappearing Island, plan a beach day, or grab a drink at the new Ocean Breeze Tiki Bar off Flagler Ave.
to do with the little ones head over to Canal Street for the Easter Celebration. Start your morning with breakfast at Little Drug and get your picture taken with the Easter Bunny. 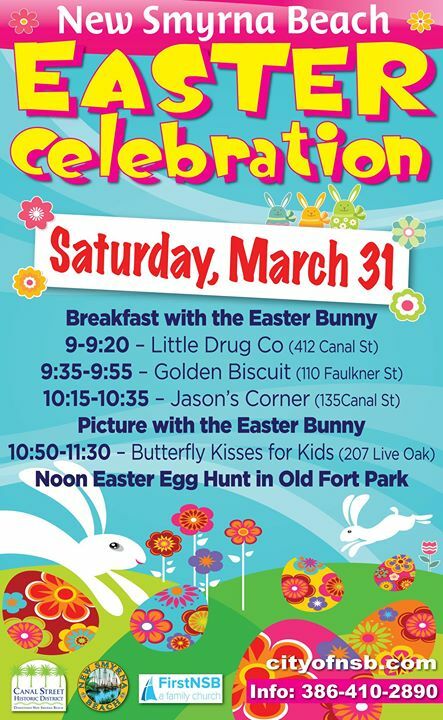 Lots of fun things will be happening all day on Canal Street, but you don’t want to miss the Easter Egg Hunt at noon! 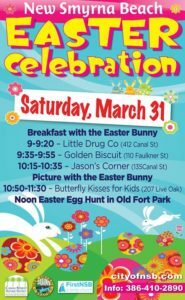 This year the Easter Egg Hunt is taking place at the Old Fort off Riverside Dr. 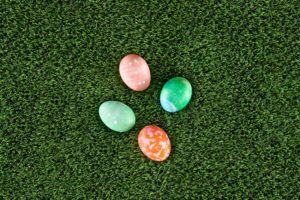 Hundreds of eggs will be hidden for children of all ages. So grab your Easter basket and head over to Canal Street Saturday March 31st to kick off the weekend! 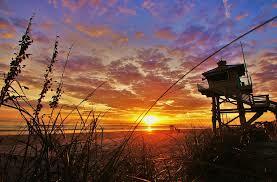 The sunrises in New Smyrna Beach can be some of the most beautiful anywhere! If you haven’t gotten up early to catch one, Easter Weekend just may be the best time to do it. 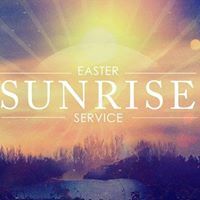 There are two Sunrise Services on Sunday April 1st, one at Flagler Ave Boardwalk and the other at the 27th Street approach. Be sure to get there early so you have plenty of time to park. Are you planning to color eggs this year and looking for something different to do? Here’s a fun DIY idea to decorate your eggs using Scentsy bars. We all know Scentsy Bars smell super yummy, but did you ever think about using the wax to create beautiful designs on your Easter eggs? It’s like using a white crayon to write names or doodles on plain hardboiled eggs before dipping them into the colored egg dye, but way cooler! New Smyrna Beach is such a beautiful place to be, esecially in the Spring. If you’re visiting for Easter Weekend and want to make NSB your home, call NSB Homes, your third generation local knowledge experts in real estate. Where living the dream and selling lifestyles is our business!